THIS IS WHAT YOUR FUTURE HOUSE SHOULD LOOK LIKE! it must be a home with functional facilities! It must meet the total comfort requirements! It must represent the class in which you belong! 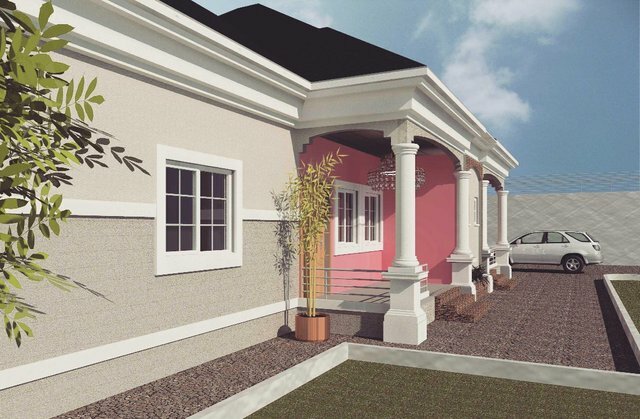 Taking these three things into consideration, we architects design homes for clients. Functionality: A building that functions as it is intended is the underpinning of a quality "whole" building. ... Analyzing the building structural concept, i.e. structural grid, dimensions, and floor-to-floor heights that allow for flexibility in internal layouts. TEC(Total Environmental Comfort) : your house must meet this criteria for it to be called a home. The concept of TEC is about designing buildings in such a way that what you feel when you go under a tree away from the hot sun should be the same when you go inside your house! TEC is obtainable when you consider the thermal comfort. The idea behind class is about aesthetics! What does your house look like? What should it look like? I will talk about that in my next post. Congratulations! This post has been upvoted from the communal account, @minnowsupport, by spectacode from the Minnow Support Project. It's a witness project run by aggroed, ausbitbank, teamsteem, theprophet0, someguy123, neoxian, followbtcnews, and netuoso. The goal is to help Steemit grow by supporting Minnows. Please find us at the Peace, Abundance, and Liberty Network (PALnet) Discord Channel. It's a completely public and open space to all members of the Steemit community who voluntarily choose to be there. This post has received a 3.13 % upvote from @drotto thanks to: @spectacode.